Summer in South Florida is no joke! The cool AC is the only thing that can keep most people afloat in the Sunshine State’s stifling heat and humidity. But there are always going to be times during the extra humid weather months in Florida where you will need to be outside of the wonderful air conditioning, so use these quick and easy tips to stay cool and not melt! Does your home seem to be filled with too much humidity? Contact us now for tips and AC maintenance tricks to decrease the humid conditions at (561) 922-3199. Staying hydrated is the number one key to success during summertime in Florida. Water is essential throughout the day as the rehydration process combats dehydration, heatstroke and sunstroke but also refills the water the body loses in sweat. Did you know that an average can lose around a litre and a half an hour of sweat during the summer? That’s nearly 100 percent more than the amount of sweat lost during the cooler months in Florida (half or one liter per day). The Mayo Clinic suggests people drink 9-13 cups (2-3 liters) of beverages each day. 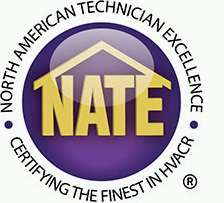 An AC technician that tells you not to use the air conditioner? That’s right. It’s been said that too much time inside the cool, comfortable setting of your perfectly air conditioned home can be drying to the skin. Either try to venture out or purchase a humidifier to combat the cool, dry environment your HVAC creates. You could also install a thermostat, like the Performance™ Edge® Touch-N-Go® Relative Humidity Thermostat, designed to track humidity levels in the home to alert you if levels spike. Take cooler showers, try to limit oven use and baking, hot setting hair dryer use and try to dry clothes on the lowest heat setting to limit added heat and humidity in the home. We know it may not be the most ideal situation, but a true Floridian will do just about anything to keep their cool in the summertime. Florida’s wretched humidity can be a summer-killer if you let it! Don’t succumb to the moisture, contact the South Florida HVAC experts at Palm Air AC to save the season. 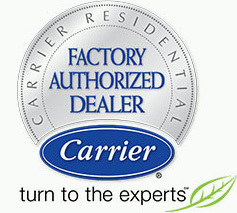 Give us a call today to learn more about AC maintenance, indoor air quality solutions, or to schedule service now.